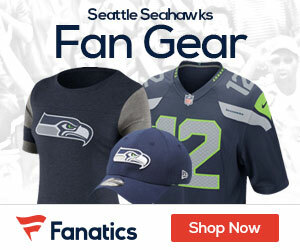 « Could the Hawks Move Hasselbeck to the Vikings? With the coaching situation in Cleveland unsettled and the chances looming of a new head coach not wanting to keep current defensive coordinator Mel Tucker around, a league source tells us that the Browns have given the Seahawks permission to interview Mel Tucker for the defensive coordinator position in Seattle. Though current defensive coordinator John Marshall has yet to resign or be demoted or politely asked to leave the premises, it’s not a good sign for Marshall’s ongoing career in Seattle. Regardless of whether Tucker or Marshall or Rod Marinelli or someone else is the next defensive coordinator, it’s expected that new coach Jim Mora Jr. (a confirmed member of PFT Planet) will call the plays on defense. Tucker has been interviewed for the Browns head-coaching job. The Browns’ decision to let him interview for the same job with the Seahawks apparently puts him in play for any other defensive coordinator position that might be available.